The best in class cost-effective SaaS solution, that scales with our high-volume business. Since 1991, Essliv is engaged in providing a high-quality, affordable beauty & health solution with a strong preference for products that are natural and organic. Simon Fenley, the Executive Director at Essliv, discovered Orderhive and presented their various business requirements to our team. Looking at the complexities and various storefronts, Orderhive Enterprise could have been the only solution for Essliv. 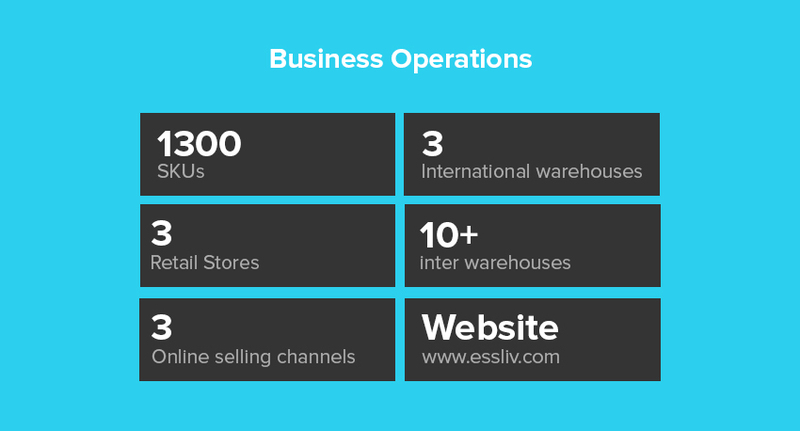 Essliv were operating their supply chain through 3 international warehouses; Singapore, Malaysia, Philippines. Under these international warehouses there were a couple of inter-country warehouses which are operated by their parent warehouse (International warehouse). This aroused some communication difficulties, as it is impossible to pack every staff involved in multiple warehouse management into a single office. Also, collaboration among the back-office department & warehouse staff was difficult. On the top of this, the staff also have to handle taxes, which are incurred once the stock gets transferred to warehouse located in another country. A significant portion of the items the company deals in was of perishable nature so the time that a particular product stays in the warehouse is very limited. On and off, Simon & his team had to make sure that the items are stored only for a stipulated amount of time in the warehouses, the moment it starts to get closer to the expiry date, the item should be disposed of. However, with human intervention the process was becoming tedious. Often the logistic team picks latest manufactured items leaving the soon to expired products at the warehouse. The international warehouses can receive and give shipments by generating an invoice. The items are also allocated with specific batch no. and expiry date. However, it was not feasible for the warehouse management staff to capture the correct expiry data while receiving the shipment because of time & human resource constraints. The team at Essliv has to make sure that goods that have the nearest expiry date are sold first. Simon added details like batch no., expiry date and inventory counts for a particular item in the Orderhive back-end. The solution is implemented where the products with the nearest expiry date are picked first for consignment. The stock transfer process between warehouses was not streamlined, as the stock sometimes moves within a specific country. There was no invoice attached to it which led to inefficient management of inventory and confusion of data. There was no centralized system which could monitor the movement of stock within the inter state warehouses. The company needed a structured environment to handle the daily business processes. The team was in need of a solution that can not only automate its core business functionalities but can also support features which can enhance their pricing management & customer management capabilities. Simon approached an Orderhive expert to see if Orderhive can address the company’s custom needs. Simon added details like batch no., expiry date and inventory counts for a particular item in the Orderhive back-end. After an order is confirmed, the Orderhive system automatically generates the “Pick List” on FIFO basis. The Logistic staff picks items according to the “Pick List”. This operation is fully automated by Orderhive without any manual or human intervention. The staff doesn’t need to calculate which items they need to pick first. “With Orderhive, we are able to segment customers by customer type & product brand type and can assign rates accordingly. 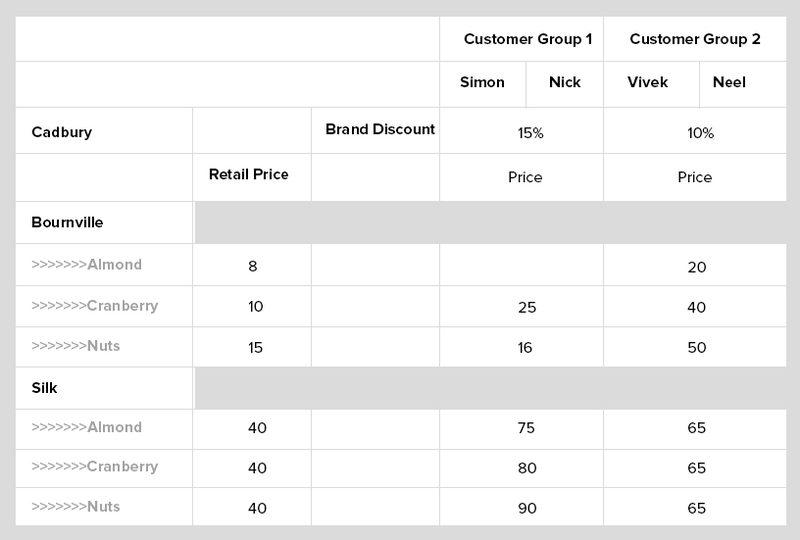 The pricing tiers application can be further refined by customer type belonging to a particular brand type. So if a customer called Neel orders cranberry, the cost of the product will be 40 and the applied discounted rate will be 10%, so the actual cost offered to Neel will be 36. The inventory gets automatically adjusted across the selling channels, once an order is fulfilled. Bin management allowed Essliv to receive inventory into preferred bin locations enabling their staff members to easily pick items during the fulfillment process. 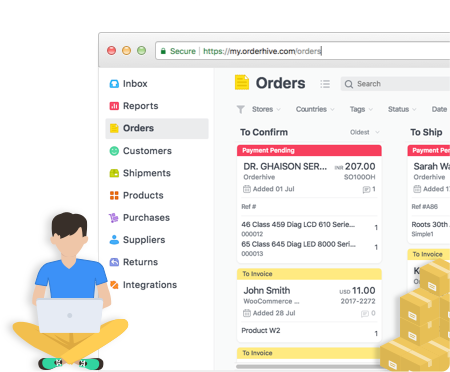 “Orderhive provided us real-time visibility into inventory details like batch no., expiry date so we can easily create the invoices and transfer the stock without much hassles. Inter-warehouse stock transfer encourages easy transfer of stock between warehouses located within a country. With this feature, the team members can create orders whenever the stock goes low for a particular item and receive the shipments with ease. They can make sure that warehouses are never out of products which are in high demand and need quick replenishment. Also, once the stock is transferred to another warehouse, the system automatically updates the stock level across the warehouses, eliminating the possibility of stock discrepancy. The company modernized its core business processes & powered its financials reporting, inventory and warehouse operations from a unified cloud-based business management platform. An industry-specific solution which easily incorporates new functionality which enhanced our back-end operation. A high-speed private cloud solution that comes with ongoing 24/7 technical support.